Benefits of Homework | Back to Basics Learning Dynamics, Inc.
It’s that time of year again. The kids are back in school and the homework begins. Some parents wonder why their children seem to have so much homework. Why can’t the teacher accomplish what is necessary during the normal school day? For younger kids, the time spent on each subject is brief and somewhat superficial. But as children grow, the range of material to be taught, as well as the depth to which a student must penetrate new material, increases considerably. In order to develop a solid foundation, teachers need more time than the typical classroom allows. 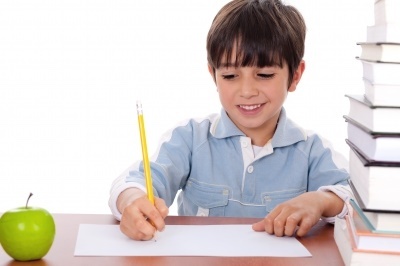 Homework is a vital tool for enhancing a child’s grasp of the coursework. It’s an opportunity to review, assimilate and prepare for upcoming material. Just as at school a child’s fellow students and teacher provide support for each student as he builds his knowledge, so everyone at home should participate in each child’s education. Parents can offer emotional, as well as practical, support. As much as possible, the home learning environment should be an extension of the classroom. Although there are significant benefits to homework, teachers sometimes assign too much. So, how much really is too much? The amount of homework and difficulty level should match the age and ability of the students. And, most importantly, homework is only beneficial if it does not put the students under stress or pressure. For young students, “Homework should be short, and should involve activities like sports and reading high-interest books. It should be a way of developing better time management skills by learning to avoid distractions,” says Buzzle magazine in the just published piece These Great Benefits of Homework Will Make You Rethink Everything. As children grow, the National PTA and National Education Association support the “ten-minute homework rule.” This recommends ten minutes of homework per grade level, per night. That equals ten minutes for first grade, 20 minutes for second grade, and so on, up to two hours for 12th grade. What happens when this “rule” isn’t followed? A recent study found that when middle school students were assigned more than 90-100 minutes of homework per day, their math and science scores began to decline (Fernández-Alonso, Suárez-Álvarez, & Muñiz, 2015). Giving students too much homework can lead to fatigue, stress, and a loss of interest in academics. Want to head off homework battles? When children return for a new school year, many parents dread the homework battles. But parents can do a lot to head off those conflicts by setting and committing to some ground rules, as well as creating a suitable work environment, and communicating with teachers. Dance party first. Some parents want their children to hit the books as soon as they walk in the door. After spending all day sitting, though, many children need to give their minds a break and burn off some physical energy first! Whether your child requires 15, 60 or 90 minutes of down time, make it clear that when study break is over, it’s time to settle down to homework. Experiment with different options. Then, set a consistent schedule to be followed throughout the year. Use a timer. If your child is a dawdler or daydreamer, help to keep him on track by setting time limits. For a young child, for example, you might allow 15 minutes to complete a language arts work sheet or a half hour for a set of math problems. Use an actual household timer that will buzz when time is up. Young children do not have a well developed concept of time, but surprisingly, even eighth graders can have trouble judging how long a half hour is. Getting a child used to pacing himself and staying on task will improve his performance in the classroom and on standardized tests. Set the tone. The proper environment can go a long way toward keeping your child focused and productive. Being off in a bedroom alone—where there are games, toys and comic books—can be just as distracting as working in the hub of household activity. Find a quiet but centrally located place where you can easily pop in your head to check on your child’s progress. Take a break. Periodic breaks will help your child to remain focused and productive when he is working. Lower elementary school students, for example, might work for 20 minutes and then take a 10- minute break. For high school students, 50 minutes of working followed by a 10-minute break is appropriate. Paper, pens, and pencils. Furnish the area with all the school supplies your child might need: pencils, sharpener, pens, colored pencils or markers, rulers, glue sticks, scissors, stapler, protractor and compass, dictionary and thesaurus. To avoid the 8 p.m. emergency runs to the store, go out now and buy poster board, construction paper, string and other supplies. Save shoeboxes, milk cartons, Styrofoam food trays, and other items that can be used to create projects. A little preparation now can save hours of frustration down the road. Communicate with teachers. What if your child is working diligently in an appropriate environment, but seems to require too much direction from you or is struggling to complete homework in a reasonable amount of time? A teacher needs—and wants—to know if a child is having difficulty with material so that he or she can help that child. Different students will take different amounts of time to complete a homework task, but the range of times should be appropriate to the grade level. If your child’s homework load seems to be too much, or too little, the teacher needs to know that, too. When school and home are linked closely, students are more likely to succeed! Start the school year RIGHT: How to head off homework battles from Day 1! What are the benefits of a physical education program?